we've been featuring some products from our etsy shop (see our post about illustrations and art prints from last week). apart from custom portraits and wire art bikes, of which the tandem version is especially popular, we have a selection of products that are suitable as gifts or home decor. we hope you feel inspired to browse our shop! simona has been making wire art for many years now. 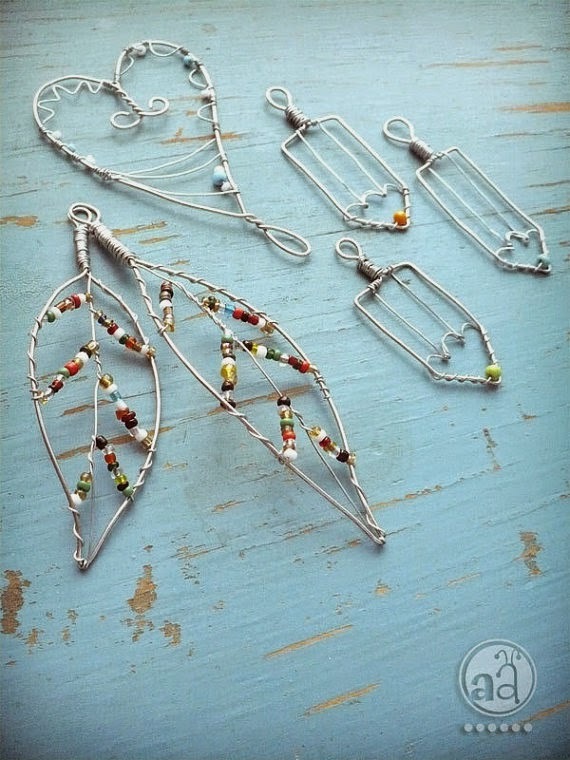 i especially like her pendants, they are unique and versatile, as there seems to be a fitting wire art pendant for every mood and season. these leaf pendants are perfect for any nature lover or naturalist. 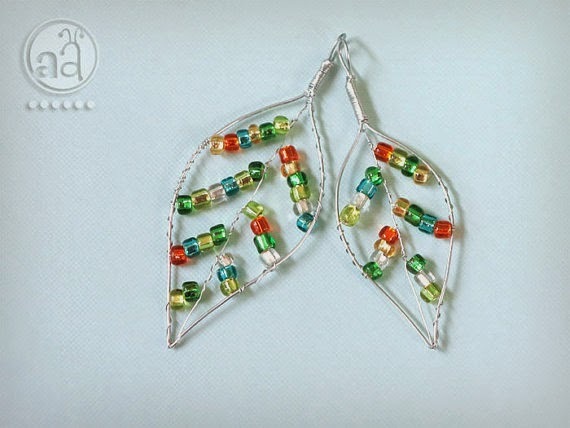 i also know of some customers who hung up the wire leaves against a window, the colourful glass beads make them miniature suncatchers! looking for a gift for a writer, teacher or sketcher? 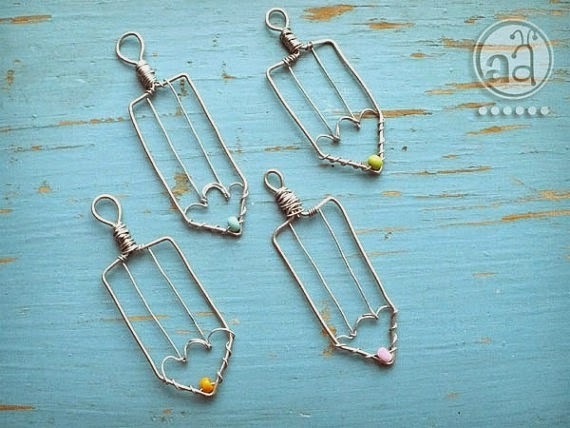 how about these delicate wire art pencil pendants? 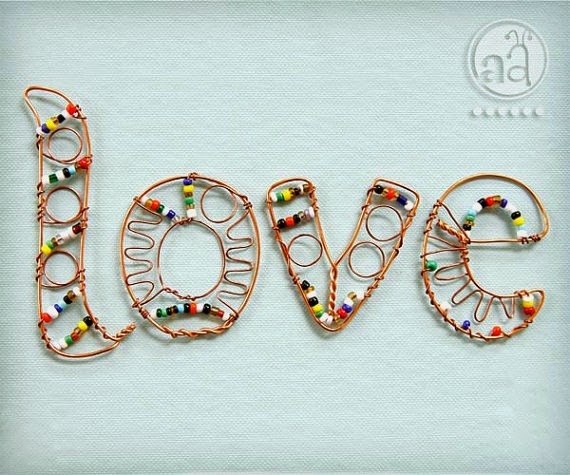 as a gentle reminder for the day or a sentiment that reflects the season we're in, these beaded wire letters could be used in so many ways. they make beautiful wall hangings, or could be used as a gift wrapping ornament or a window hanger, too. looking for a symbol, word or sentiment that is not in the shop? just drop us a line and we'll work something out!